Do you like Moto X3M 3? Share it with your friends. 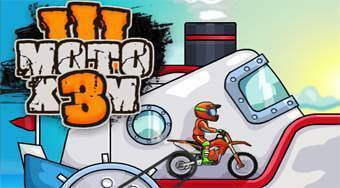 Moto X3M 3 - overcome all extreme obstacles with your motorbike, do somersaults in the air and try reach the finish as quickly as possible and without falling.